After massive safety-related food recalls and class action lawsuits over the safety of flea drops in recent years, product safety is more important than ever to pet parents. Whether you’re a seasoned pro or new to the green scene, Wondercide can help you swap conventional pesticides used on pets, people and property. 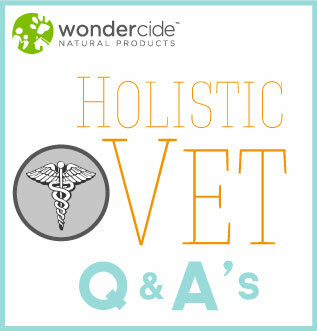 Today, we’ll look at four ways Wondercide can help you swap in safe and powerful products to use on your furry friend. Conventional flea treatments, applied topically or orally, work by introducing conventional pesticides to the pet’s bloodstream that fleas and ticks ingest when they bite. The same toxic effects that kill the insects can cause serious health problems for pets and reduce the animal’s lifespan. Most pet parents are unaware these products are classified as conventional pesticides, when in fact, chemical flea and tick products are the second most cited cause of poisoning among pets. The truth is, the concentration of pyrethroids in over-the-counter spot on pet treatments range from a 40 percent to an 85 percent solution, eight to 17 times stronger than the strongest pyrethroid product currently approved for use on humans. In a time when 3 in 4 pet parents use conventional flea and tick control, the need for a safe alternative to the toxic options available on the market is stronger than ever. Flea & Tick Control Pets + Home uses natural ingredients like cedar oil to repel and kill harmful pests. Cedar oil affects octopamine, which is essential to life for pheromone-driven “bad bugs” like fleas and ticks. Octopamine is responsible for regulating heart rate, movement and behavior in pests. It’s essential for life. Cedar oil blocks the octopamine neurotransmitter receptors in pests, causing pests to be repelled from the area. When contacted, pests suffocate and die. Mammals, birds, fish, amphibians and beneficial insects are not affected by cedar oil because they do not have octopamine neurotransmitters. A flea dip is a popular “quick fix” for fleas. 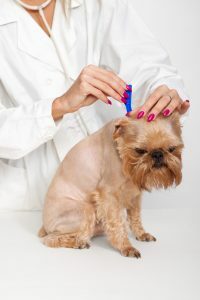 Flea dips are concentrated chemicals that are diluted with water and applied with a sponge, cloth, or by pouring the solution directly onto the pet. Common ingredients in dips include Chlorpyrifos, Parathion, Diazinon, famphur, Phorate, Terbufos, and Malathion–all of which are known to cause cancer, organ failure, tremors and paralysis. 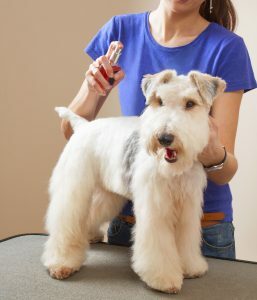 Gloves must be worn to protect the applicator; as a general rule of thumb, if it’s not safe for your skin, it’s probably not safe for Fido’s either. Ditch the gloves and the chemicals and lather your Wonderpup with a paraben-free, sulfate-free, chemical-free hand-crafted shampoo bar. Made with citronella and geranium, Wondercide’s Flea & Tick Shampoo Bar is the ultimate in outdoor protection, combining essential natural ingredients for long lasting effects, all delivered in an amazing lather! And as an added bonus, the essential oils and shea butter will leave your pet’s coat healthy, shiny and super-duper-uber soft! Most dog perfumes use alcohol and artificial fragrances to cover up smells temporarily. In addition to providing only a temporary solution, alcohol dries out your pup’s skin, and artificial fragrances irritate a dog’s skin, eyes, and nose. Dogs aren’t odiferous by nature, so a stinky dog typically indicates a bigger problem caused by bacteria, fungus or other skin issues. Instead of just covering up stinky dog smell, Fresh Dog Deodorizer, powered by neem oil, heals and soothes the underlying cause of Fido’s stinky smell. Fresh contains no artificial colors, synthetic fragrances, harsh chemicals, or alcohol. We’ve all seen the recent flurry of dog food and treat recalls for treats made in China and right here at home. The FDA cites 11 recalls in 2016 alone. Common problems include salmonella, listeria, unsterile manufacturing facilities, lack of quality assurance and mislabeling. Additionally, processed filler grains like corn and wheat are hard for pets to digest. If you eat organic, minimally-processed, high-quality food, why shouldn’t your pet? Natural, All-Meat, Grain-Free Jerky Treats are the best option to keep your furry friends happy and healthy! Using high-quality meat from the same supplier Whole Foods uses, Wondercide’s treats are naturally free-range, hormone-free, antibiotic-free, and grain-free! Available as Chicken Jerky Strips, Rabbit Jerky Medallions or Chicken Jerky Medallions, there’s a flavor sure to satisfy even the pickiest of pets. Stay tuned in the coming weeks for more ways to make the switch and ditch the chemicals, outdoors and in! Will you make a different fragrance in the refresh please, the yellow also tends to stain my white poodle? Happy Tuesday! We hope that you are having a great week so far. Thank you so much for your question about Fresh! The active ingredient is the neem oil, which might be what is causing the yellow tint. It would be fine to wipe it off your pup about an hour after it has been applied.That will give it time to work on the bacteria that might be causing the odor. Shaking it before might also help mix the neem oil with water a little better. We hope this is helpful! Please feel free to reach out with any other questions that you might have! I was hoping for suggestions. I love the Wondercide products for my indoor yorkie, as they seem to work well on her. No fleas, eggs, flea dirt, or ticks found. However, I recently rescued a ferel kitten, approximately seven weeks ago, and I’m still fighting fleas and flea dirt on her. She is contained to my laundry room, no contact with yorkie due to her fleas. I have bathed her with the lemongrass soap three times and have used the spray on her daily. I bug bombed yesterday while I took her to the vet. Any suggestions on how to attack her fleas? 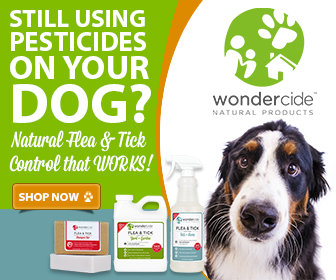 Im happy with the Wondercide product on the dog, but don’t know what to do about the kitten. Thank you! Thank you for reaching out to us with your question. We’re so happy our products have been protecting your Yorkie from fleas, and we’re confident we can help you find success with your new rescue kitten as well. 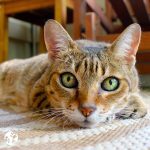 If you are seeing fleas on your kitten despite applying Wondercide daily, there are likely still fleas in the environment around her. Did you treat your laundry area with our product while you were treating her? It sounds like you have already bug bombed, but if you are looking for a natural option to control any fleas that may be left in this space, our Flea & Tick Control for Pets + Home can be used anywhere in your indoor environments. This spray will help knock back any flea populations that may have already established themselves and will kill the life-cycle, too. 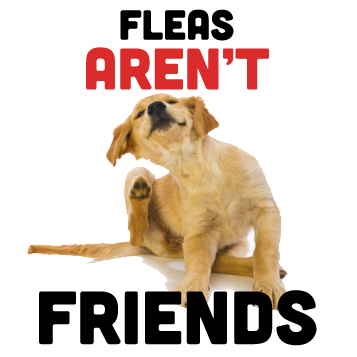 An important tip to keep in mind with fleas is that they like warm, dark, moist areas best. If your kitten is in a laundry room, be sure to spray under your washer and dry, as well as under and around other appliances that may be in this room. It sounds like you are doing a great job thus far, and we’re confident you can regain control from these bugs. If you have any further questions, or if we can share more tips and tricks for helping you eliminate fleas, please don’t hesitate to reach out. We’re here to help! A friend just told me about a rescued draft horse that had it’s tail chopped off, and needs help repelling flies. Do your products help with that? Hi, Sue. Thank you for reaching out about the rescue horse. We do have a natural solution to help repel flies. Our Flea & Tick Control for Yard + Garden concentrate can be diluted in a 32oz spray bottle and safely used directly on horses. We recommend starting off with 2 TBS per 32 oz of water, you can play with the concentration as needed to accommodate the pest pressure in the area. We also have our Skin Tonic Oil that may help with the open wound on the horse’s tail. This product contains Neem oil and is great for healing open wounds and sores. If you have any other questions regarding our Wondercide products please reach back out soon. Cheers to you.